Having built those mittens, I know what it takes to alter the sizing. PS- we use a Brother LS5-P52-050 post bed with a large hook. Thank you very much for your insight on the issue of Vulpine Adaptive and otherwise. It is always very exciting to hear from someone of your expertise and it is equally encouraging to know that there are other people who are committed to materials in an expansive way that does not sacrifice ideas to the normative patterns of society. Best Regards from the Brother DB2-B791-015 and company. Watch out Kevin, or BrotherDB2 here is going to start making his own. By the way DB2 what’s with “expansive” and “normative”. In fact, that whole portion of the sentence seems to be able to be parsed in multiple ways. How bout a little clarification? Dumb it down for us non art philosophy types. i’d say they got a ninja turtle thing going on…lobsterclaw? though historically i don’t know which came first: lobsterclaw glove or ninja turtle phenomenon? As always, you mix it up, create complex relationships, shift propositions to statements, acclimate linguistic strategies to grammatical prisons, expose the reflexive, scrutinize, and validate. Yes, the site does submit to this kind of “art philosophy” discourse, but “art philosophy” as a way of placing this writing style is far from accurate. It is probably better located (or stemming from) in hermeneutics, and semiotics, and that would point to literary theory, which is involved in the theory and critique of writing and language. This should dissuade from the suggestion that it fits a genre or peculiar writing style. All of this, raises the issue of – if this writing in the last comment even has a particular genre. What you may have meant to say is that this writing sounds like what a certain “art philosophical” audience might hear or stereotypically expect, as it has become a paradigm of the arts to flaunt vocabulary, although this is a brash generalization that negates writing’s primary concern which is language and it’s wealth of elasticity. In the end, using these supposedly large words (like expansive and normative [?]) will always be inherent to moments of this site and only act as a maneuver to hopefully solidify that sewing is a tremendous thing that does not need to be dumbed down like it often is at “craft” stores, which designate sewing as a past-time or even worse – as something “fun” to do, where as long as you can pick out bright colors, you too can make a unique work of “art” without having to consider the implications. The garment and textile industry is a very serious thing that has had very serious impacts on history and will continue to do so for better or for worse. It is not a past time for the majority of people involved in it, volunteer or not, and is in fact an intolerably unstable labor-inducing necessary evil (evil if applied to sub-par working conditions, whatever that may be). 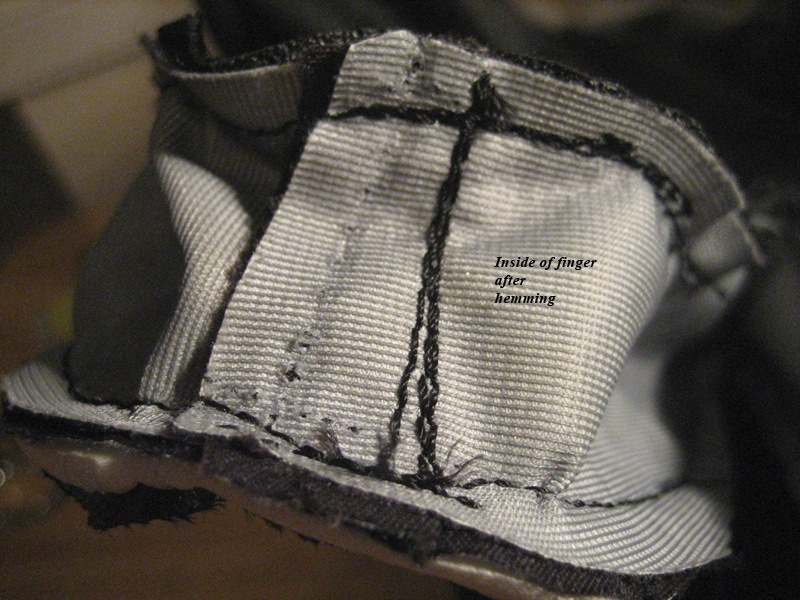 Sewing machines and their products have revolutionized the world in innumerable ways, not just by providing where there has become need, but by progressing how mechanical objects function and can be manipulated to automate increasingly complicated tasks, negating the need for constant human contact (also for better or for worse). Therefore with sewing and sewing machines being equally impactful on the world’s events, it consequently must call for a heightened rhetoric. Hopefully some of these explanations will help dissolve your illusion of an elitist mentality fueled by “art philosophy” jargon. It is meant to say/suggest through the form of written communication (or hope, maybe these are false accusations, albeit) that by inspecting Kevin’s work it would appear that he has taken the time to learn about materials in depth, and with a broad platform in mind that designates how these materials should be used and why . 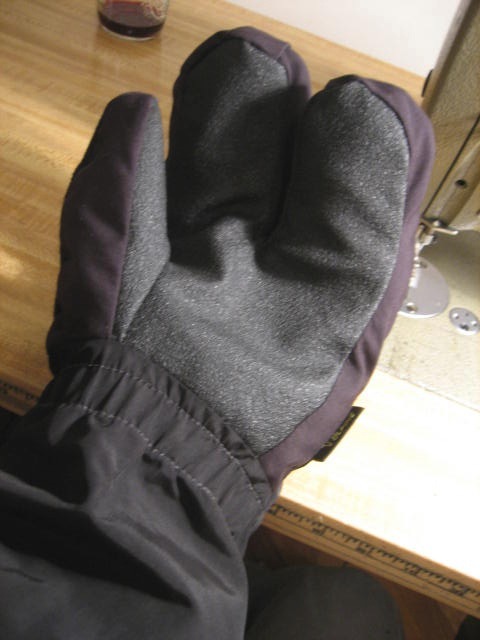 Using this knowledge of material, and making products, which are very specific – in this case to cold weather cycling as the mitts are – it may display the maker’s willingness to step outside of older norms, or more specifically the traditions of what a “glove” is and what it will be used for and/or should do; so when it comes to devising patterns and making product defining procedures/features the end result will have greater insight, telling us a more thorough use of materials and process’ was underway . Furthermore, when one commits to this degree it is often at their own expense and therefore is truly generated by appreciation and understanding, and does not make sacrifices by taking short cuts, which would question the integrity of said materials and methods – causing inferior results for sake of ease, economy, shear laziness, etc. because fewer people require it. A curious sentiment following these ideas is how does supply & demand, and consumer awareness of a product – but not what is within the product (materials, tools, labor) – build boundaries around the thinking behind the item in terms of development and perspective use. 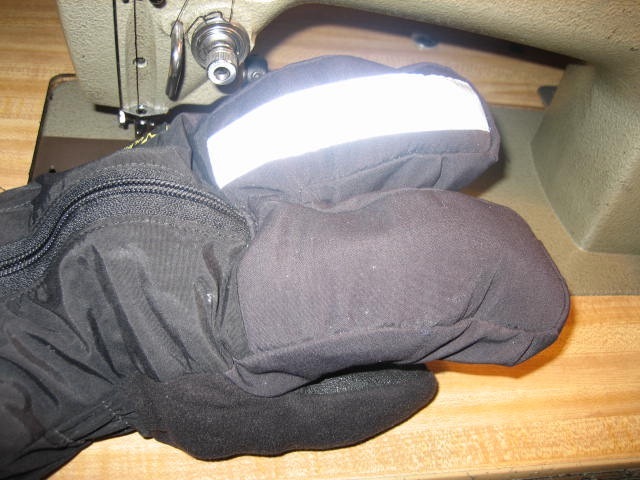 Next – You mention someone of the Needlefeed.com and company making his/her own mitts; this is interesting in two respects. One is that yes, at the Brother DB2-B791-015 it is possible to make a very close replica to those mitts, this should not come as a surprise – in fact an upcoming project is to make a pair of cycling booties (insulating shoe covers) that are seemingly based on an old pair of Vulpine booties (although the research session was merely minutes and any notes on the pattern are completely in the brain). Rather than locate this in a competitive arena (the inflection was hard to determine in your comment), it may generate more discussion if it were looked at as an unsolicited collaboration that is more akin to working with others in a science lab, where competitive moves are more like pushing your opponent to see how much they can lean backwards on you – hopefully bringing about an even greater proposition. Which brings us to the second part of your interesting invitation; that this is even possible. 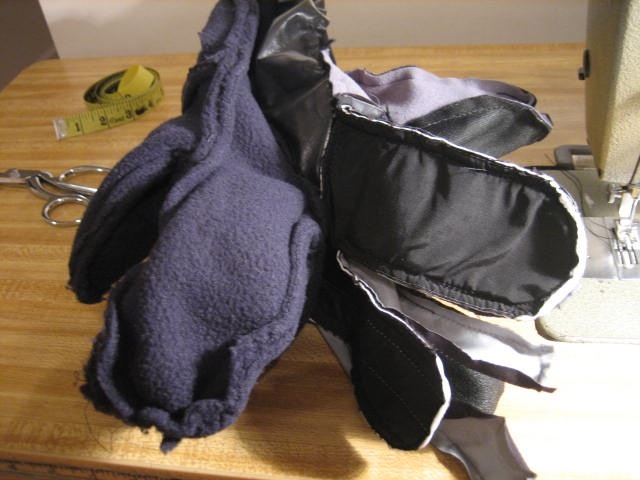 Your comment on making his/her own mitts is appealing because sewing (from patterns or not) can be related to computers and computer programming. The most common example of this is Charles Babbage and his study of the loom as a model to create computational code, which founded ideas around the contemporary computer system, leading to a myriad of developments and even web-logs where people candidly communicate today. 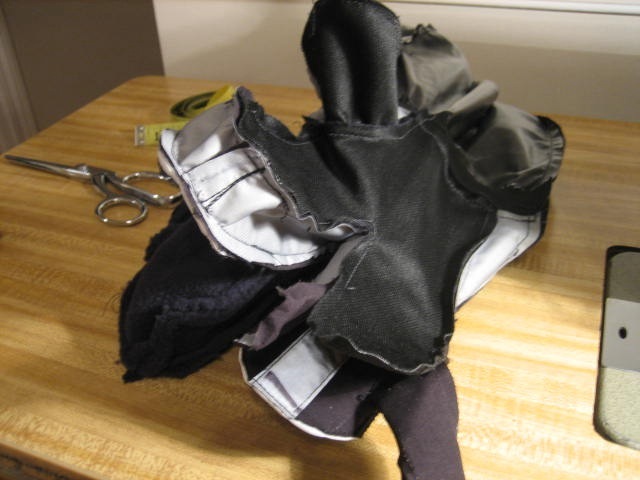 They are also similar because sewing is something that can use few resources to make complex configurations out of objects, which do not stand on their own quite as well. Another parallel is with a computer programs base of on and off switches stitching together digital information – it seems like a reasonable connection to make because one of those switches by itself is equally static like the vast stretches of prone material waiting for use. While this discussion (the comment’ary) has been instigated by no specific rule – and is open to interrogation and fluctuation – it is heavily reliant on computers and their programming to display it’s (the back and forth comments) progression. 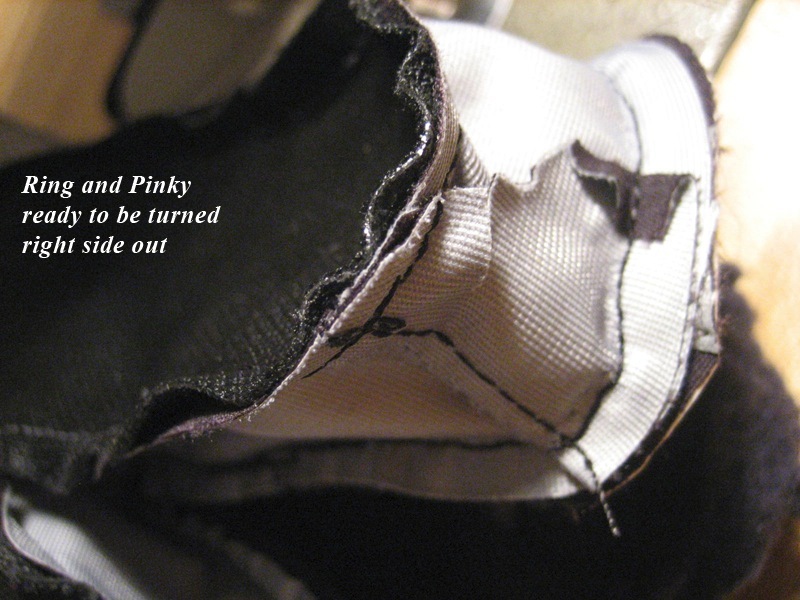 Like hemming the Vulpine mitts, at any given time someone can take an already existing pattern (code set) or product, seam-rip it and make their own, adding or subtracting particular elements and therefore improving upon or not on the “original”. Needlefeed.com is in itself a model of this digitally, wherever there is access to the Internet, someone may happen upon this site, and then depending on the reader, they may add their two bits of extra information changing the format slightly. And of course what Needlefeed.com catalogs, is an example of computer codes – analog equivalent. Whether that is done intentionally or not, the connection is there for those who seek it. Not to mention that converting Needlefeed.com to a Wiki site is under inspection, obviously a Wiki site is not without glitches in it’s neutral policies, but it could at least display these thoughts on the two devices connections, and accelerate the learning curve of industrial sewing machines. This might not be as impressive as what one may do with more tools, but it at least provides a small platform to connect in an intensifying way with a public space. These connections, patterns of interweaving data-sets, integrities of materials, and correlative histories are thoughts that bounce around the Brother DB2-B791-015 frequently. 2. Normative patterns of society is a play on words, as in patterns, sewing patterns, and the patterns of mentality to think anew. Society being the definitive factor of how well things are generated for their behalf – some insist that this is done meticulously, some do not, creating a mix of results. My eyes hurt from reading all that. 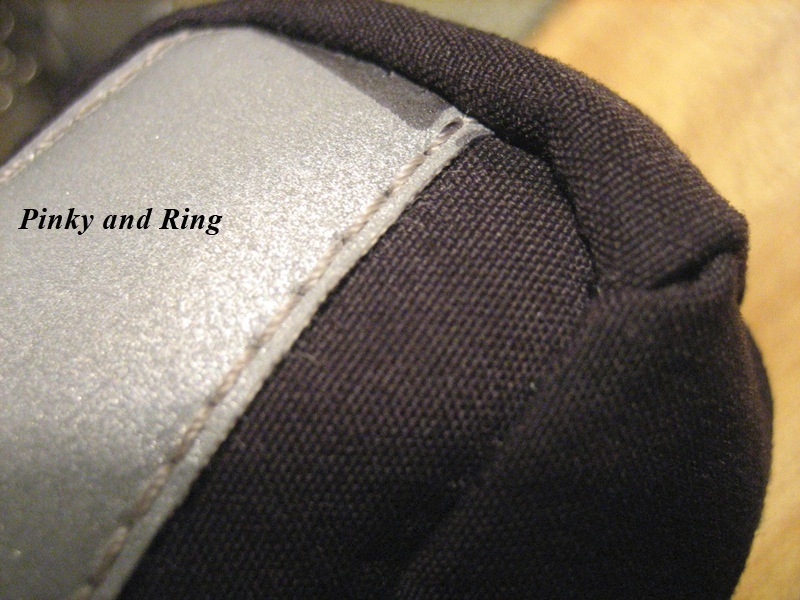 …the big problem we discovered with booties is the crank arm clearance. Don’t be surprised to wear through a few pairs in the process. I’ve got 3 pairs of our latest booties that I still use, but they are intact because I used ancient pedal quills to add 1/4″ of additional clearance on each side of my cranks. As always good to hear from you again. The new booties were finished recently, and they should be up on the site soon. Crank arm clearance was definitely a huge consideration, and we will look forward to see how these hold up. 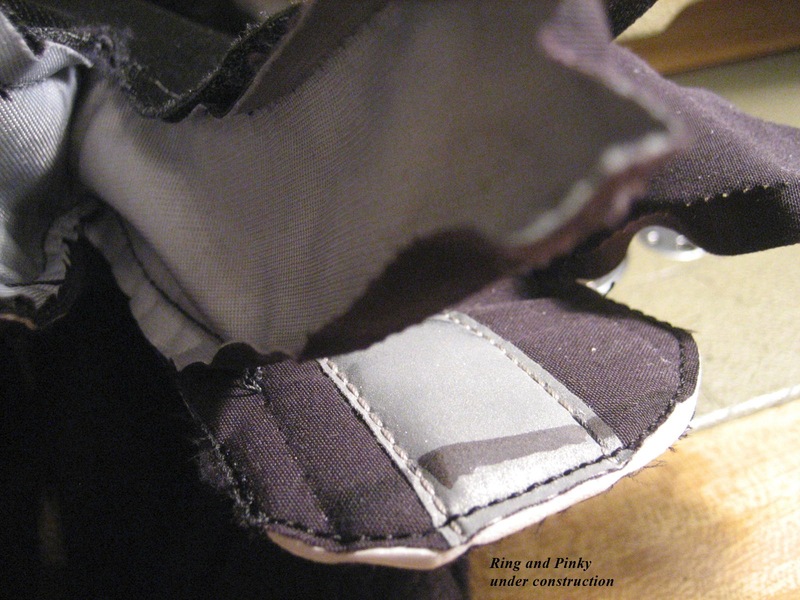 Velcro lashing was added around the heel cup from the inside of the foot to the outside, which hopefully helps keep things taught, but now it will be a matter of how much toe area is coming in contact with the crank. Luckily the tester is an extremely proficient mechanic (and rider for that matter), and can adjust options accordingly – already the sole had to be re-cut to fit the cleat position better. Thank you again from the Brother DB2-B791-015 and company. 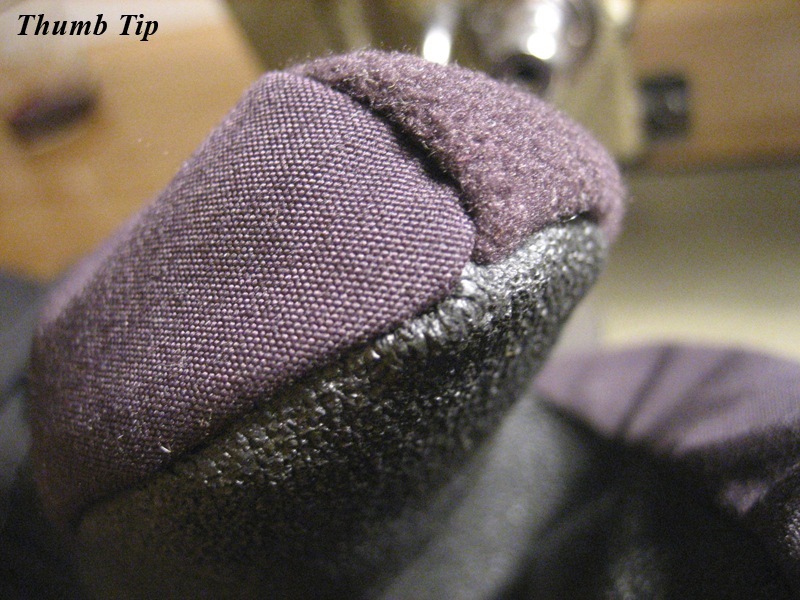 Where can I buy a pair of the vulpine mitts? Empire Canvas Works is the place to go. 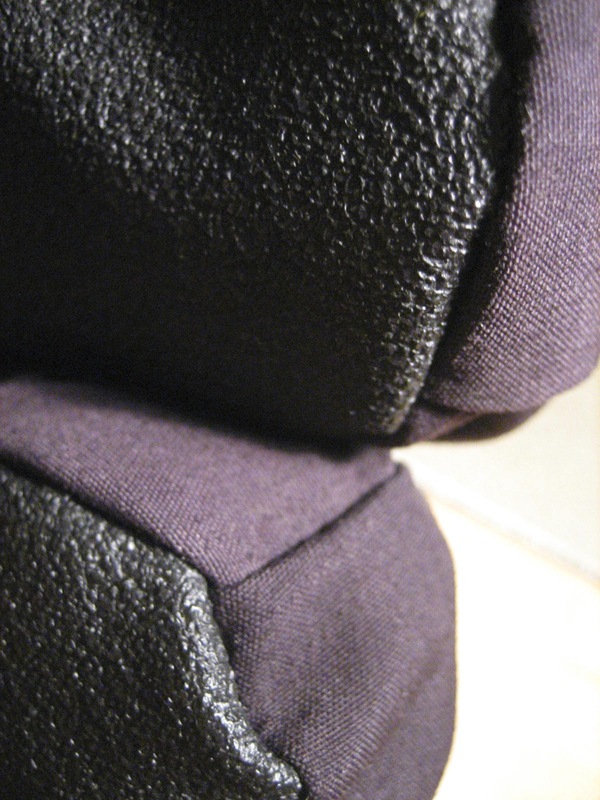 the link is, http://www.empirecanvasworks.com/ (which is also above) – rumor is, the Vulpine mitts are made on a limited basis. All other information should be found at Empire Canvas Works.